17 Apr 2012 | Author: David J.
QR Codes are great for many reasons when executed well, but let’s face it, they are not the prettiest things in the world. To many, they look like a game of Space Invaders or some kind of bizarre maze. So here at ScanLife, we carried out a survey to find out more on the topic. Of the 213 respondents that had scanned a QR code, 47% said that they would be more likely to scan a colored QR code, 43% felt it wouldn’t make any difference, and only 10% would rather stick to the classic black and white. In other words, looks matter. An attractive design can grab our attention, and a designer code (colors, logos, etc.) will be more likely to drive scans than a black and white one. 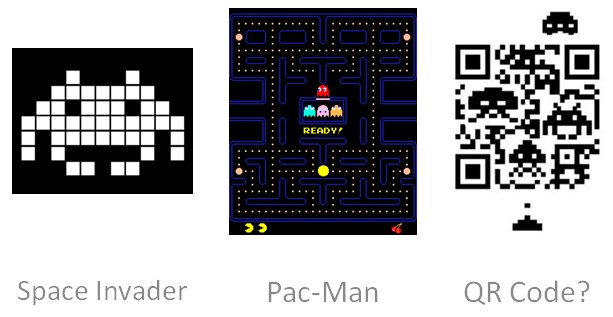 However, the issue is that when it comes to scanning QR codes, some code readers are “more equal than others”, i.e. not all 2D barcode readers will read designer codes easily. As a marketer, the challenge is to reach the maximum number of people while getting the highest response rate. If people are unable to even scan your code, then you’ve instantly lost interested and proactive potential customers. Worse, you’ve frustrated and annoyed them, and they are just as likely to blame your brand as they are the code reader. We have given QR codes the looks and the brains. Now marketers can focus on the experience. One Response for "The QR Beauty and Brains"